Taxis have been a popular mode of public transportation for over a century. Now with more companies providing taxi-like transportation services, such as Uber and Lyft, there has been an increase in the number of taxi crashes across the country which can seriously injure passengers and/or pedestrians. Since Uber and Lyft claim to provide cheaper fares and quicker speeds than ordinary taxis, especially in the Atlanta and Savannah areas, their services have begun to increase. These companies have also been recognized as those who sometimes avoid safety rules through taxi deregulation. With safety of individuals compromised, more injuries are likely to occur in all types of taxi operations. At Harris Lowry Manton LLP, our Atlanta taxi injury lawyers help individuals and families who have been impacted by these accidents across the state of Georgia. When collisions and crashes occur, the responsible parties must be held accountable. Making a successful claim in cases involving mass transit vehicles and common carriers requires the skilled representation and in-depth knowledge of the laws that we are known for throughout Georgia. As a law that requires drivers to be careful in encounters with anyone they meet on the road, the duty of reasonable care determines whether a taxi driver is liable for an injury. In determining whether a driver was sufficiently careful, the law compares the driver’s conduct with the behavior expected of a reasonable person. The law asks: How would a reasonable, prudent person have behaved in the same or similar circumstance? To file a claim, these injuries must have occurred due to the defendant’s failure to exercise the duty of reasonable care. Our attorneys can provide proof that suffering and losses are the fault of the taxi driver, making you entitled to compensation for injuries, lost earnings/income, pain and suffering, and property damage. The relevant cab company will immediately become involved once an accident occurs, and they will have experienced lawyers on their side. That is why it is imperative that you also have skilled legal representation. A personal injury lawsuit may be filed with the help of devoted Savannah taxi crash attorneys at our firm, who seek to recover losses for passengers injured in the crash or for loved ones of the deceased. With the help of our investigators, we will find evidence of incompetency and the disregard of safety in cases of injury and/or death. In fact, the National Highway Traffic Safety Administration (NHTSA) found that nearly 25 percent of all car accidents involve driver inattention. If you have lost a loved one because of negligence, our attorneys can provide a speedy investigation, thorough evidence of driver negligence, and often successful results. 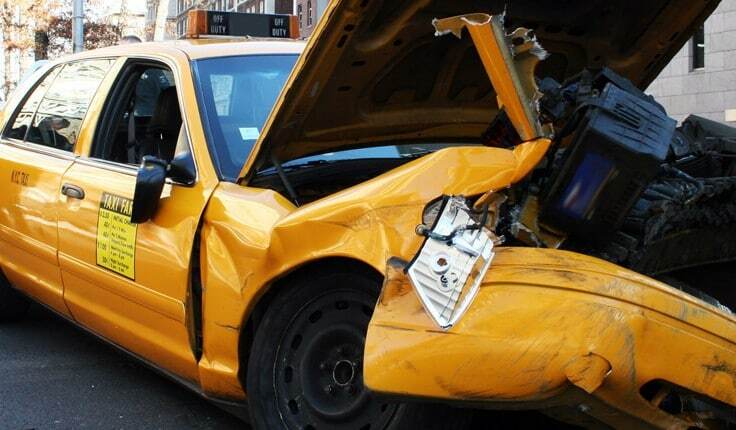 With cases of wrongful death, there is a statute of limitation of two years in taxi accidents. Please do not hesitate to contact us for assistance in the claims process and litigation proceedings. The Atlanta and Savannah taxi accident lawyers at HLM deeply sympathize with victims and families of public transportation accidents. Through compassion and a history of superb results, our firm can aid injured passengers in receiving what is rightfully theirs. With decades of experience in the field, we can assist individuals who suffered from an injury and to families who have lost a loved one due to negligence. To set up a free initial consultation, contact us today or call us in Atlanta at 404-998-8847 and in Savannah at 912-417-3774.